Overstock. Give your staples and dry goods an upgrade with American Atelier’s stoneware canisters. 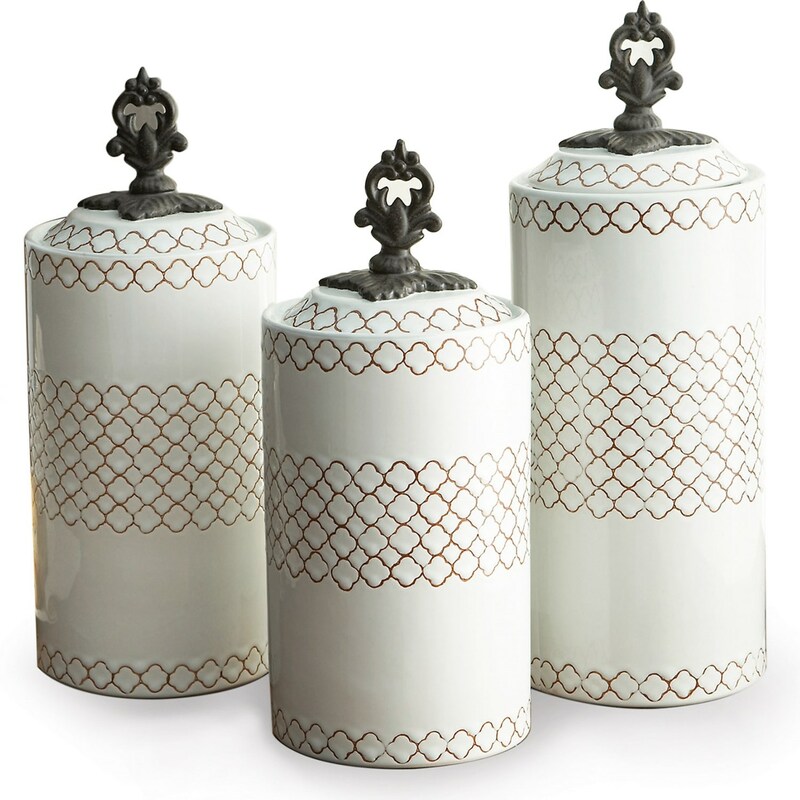 Each canister in the set of three varies in size, seals with the included lid, and adds artistic distinction to your kitchen.